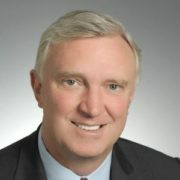 Emmett Seaborn, located in Stamford, Connecticut, is a Director and member of Towers Watson’s Client Development Steering Group. His individual areas of expertise include human capital, total rewards, and benefit strategy process design and management. As head of the company’s cross-business intellectual capital coordination team, Emmett leads efforts to help clients align their workforce, finance and risk management programs with business needs. The team operates with a mandate to develop solutions that improve clients’ business performance, with a focus on three enduring client issues: managing cost and risk, accelerating performance and enhancing HR service delivery. Emmett received a B.A. from Bucknell University and an M.B.A. from the Stern School at New York University. NEW YORK, July 17, 2013 ¾ Human resource (HR) executives and their finance counterparts believe a stronger partnership is in their future, especially when it comes to helping their organizations boost performance and improve their return on investment in people. The two functions agree on many people- and performance-related issues, but diverge in terms of how broadly and rapidly increased collaboration will occur, according to a survey by global professional services company Towers Watson (NYSE, NASDAQ: TW) and Forbes Insights. The survey, Driving Performance through HR and Finance Collaboration, found that the functions already partner to a greater extent than many might expect, although they differ over the extent of both current and future collaboration. The top areas of joint activity today are setting annual budgets for reward programs (cited by 46% of finance and 62% of HR), determining changes to reward programs (43% finance and 42% HR) and setting reward strategy (39% finance and 41% HR). However, there is far less collaboration in areas likely to become more important in the future, including setting an overall workforce strategy (35% finance and 23% HR) and talent management (32% finance and 20% HR). And while both functions agree there will be more collaboration in the next three years, HR respondents were far more likely to think so (70%) than finance respondents (49%). Return on investment (ROI) on reward programs is an area ripe for improvement since neither group believes current ROI is where it should be. According to the survey, just 56% of finance respondents and 61% of HR respondents agree their company’s current ROI on rewards is acceptable. Overall, only 12% of all survey respondents indicated they didn’t currently measure reward ROI, while just under two-thirds (64%) use financial metrics and just over half (53%) use workforce metrics. Fewer than half (47%) measure ROI in operational areas like productivity or innovation, despite the importance of these factors in strategic growth. And only slightly more than a quarter (27%) use customer metrics, a gap that companies will want to close, given the direct impact employee actions and behavior have on customer loyalty and buying patterns. Both respondent groups identified the same top reward priorities for the next three years, all of which are aimed at improving their ROI on reward programs. These priorities are increasing the linkage of rewards to company performance, differentiating rewards across talent segments to better reflect people’s roles and contributions, and increasing the linkage of rewards to individual performance. HR and finance executives were also closely aligned on top people risks, with both groups focusing on insufficient leadership development (44% finance and 60% HR), inadequate retention of people and skills required for growth (40% finance and 49% HR), and inadequate investment in talent for critical roles (34% finance and 50% HR). “HR/finance collaboration can and should go beyond rewards to encompass the full strategic workforce agenda,” saidSeaborn. “Ultimately, sustaining and improving performance must be a shared responsibility between the two functions since it depends so heavily on the relationship between what an organization can afford to invest in its people and the financial goals it has to deliver,” Seaborn concluded. The Towers Watson/Forbes Insights survey was conducted in February 2013, and includes responses from 122 HR executives and 218 finance executives at U.S. and global organizations. Survey respondents ranged in size from 1,000 to more than 25,000 employees and represented a broad range of industries. The full report is available at towerswatson.com. Forbes Insights (www.forbes.com/forbesinsights) is the custom research practice of Forbes Media. Forbes Insights’ research covers a wide range of vital business issues, including talent management, corporate social responsibility, financial benchmarking, risk and regulation, and doing business in emerging markets.